Looking for an Electrician in Watkinsville, Georgia? Whether you're doing renovations, upgrades or experiencing an electrical problem, it's important to find a licensed electrician in Watkinsville, GA. Meehan Electrical Services has been working in the region since 1960, servicing the electrical needs of Watkinsville homeowners and businesses. Our extensive list of satisfied Watkinsville customers displays the experience and expertise of our staff. At Meehan Electrical Services, a certified Watkinsville electrician is ready to troubleshoot your electrical issues, answer design and repair questions, and offer advice on codes and electrical upgrades. Trust the experience and track record of Meehan Electrical Services electricians for all of your electrical needs. Many people assume that hiring a professional Watkinsville electrician is an expensive venture. Although the knowledge and expertise of a licensed pro is undoubtedly valuable, Meehan Electrical Services offers that know-how for a reasonable cost. Watkinsville residents can have all of their electrical needs taken care of quickly and efficiently without blowing the budget – all they need to do is call Meehan Electrical Services at (706) 717-4947. The range of projects that Meehan Electrical Services has managed across Watkinsville covers everything from small electrical repairs to major wiring installation jobs. No matter how large-scale or small-scale the project, Meehan Electrical Services staff work hard on the details to provide a neat, tidy and safe finish. 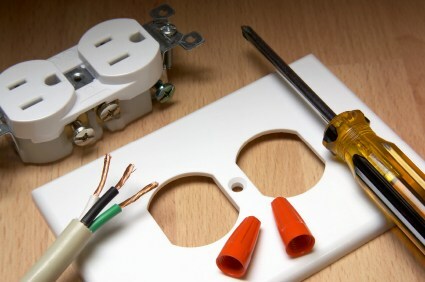 Do you want to hire a reputable electrician in Watkinsville, GA? Meehan Electrical Services’s attention to detail and careful work ethic drives them head and shoulders above other Watkinsville electrical contractors. Trust the years of experience and attention to detail that Meehan Electrical Services delivers. To hire an affordable, licensed Watkinsville electrician for your electrical projects, call Meehan Electrical Services at (706) 717-4947 and arrange for an estimate. We love electrifying people's lives!